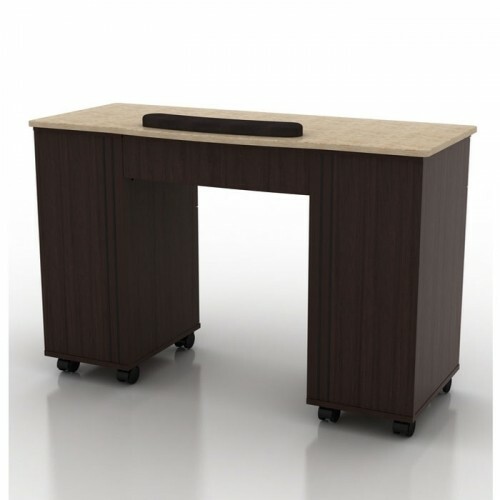 AYC BERKELEY Manicure Table - Featuring a granite center tabletop. 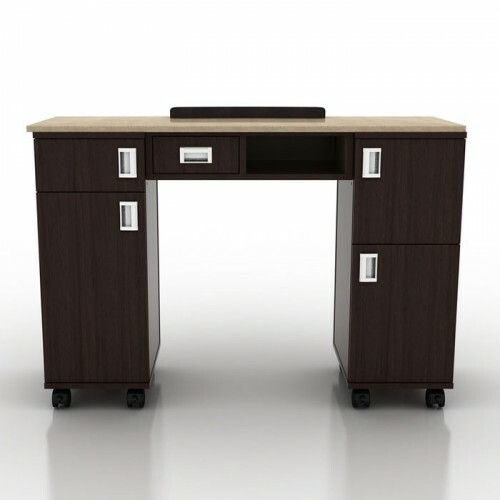 The nail table is finished with dark hardwood veneer with engraved lines that give it a streamlined appearance. Four compartments for storage with nail polish holder, and black armrest. 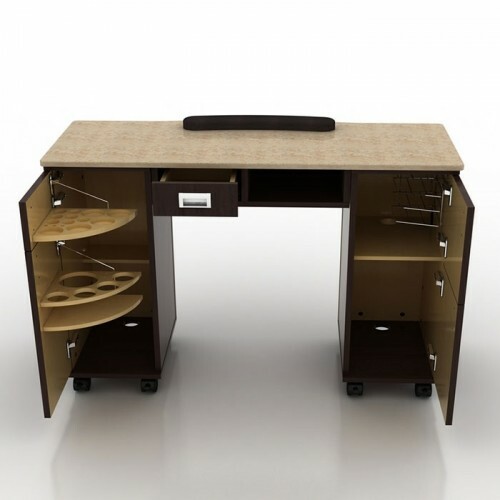 This modernistic designed nail table is perfect for salons that have a modern or contemporary look. 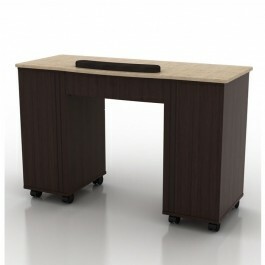 Complete this wonderful set with the Berkeley Nail Dryer Table and the Berkeley Reception Table.